Poor driving practices and negligent behavior endanger everyone on our Kansas City roads. In 2017, speeding alone killed 9,717 people across the country. * Automobile accidents have serious consequences. When they involve a fatality or life-threatening injury, you need strong legal guidance to protect your rights. Today, we spend a great deal of time in our cars and on the road. We eat in our cars, talk on the phone, text, and check email; we are a society of distracted drivers. Add to the mix other negligent driving behaviors, such as aggressive, drowsy or drunk driving, speeding and just plain recklessness; it’s no wonder that auto accidents continue to be a leading cause of personal injuries. Accidents can be caused by factors other than the negligence of another driver, such as poor road conditions where the city, county or another entity may be responsible for maintaining safety. Parts on the car, such as an airbag, may be faulty and may mean the manufacturer is the negligent party. Our legal team is well-versed in investigating accidents and determining negligent parties. At the Nash & Franciskato Law Firm in Kansas City, we know what to look for at a crash site and we know how to build a case that addresses your full range of injuries. Yet, what we offer goes beyond experience. Our legal team is dedicated to you and helping you focus on your recovery. Have questions? Contact our staff at (877) 284-6600. $3.125 Million Wrongful Death Judgment arising out of an automobile collision in which defendant driver crossed the center line and collided with plaintiff. 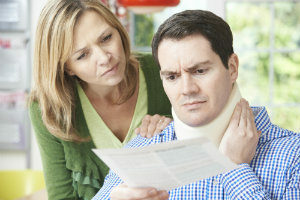 Have you been seriously injured in an automobile accident? Call Nash & Franciskato. We have a successful track record helping accident victims collect the compensation they deserve. In the Kansas City area and across Missouri, the Nash & Franciskato Law Firm will fight for your rights. Contact our lawyers today for a free, no-obligation evaluation of your case. Blog articles related to automobile safety and accidents. *Data source for speeding statistic. The lawyers and legal staff at Nash & Franciskato in Kansas City have represented hundreds of car accident victims as well as serious motorcycle accidents, truck accidents, ATV accidents and other vehicle collisions. How do you investigate an automobile accident? As we gather information from all sources about the accident, we also consider whether we need to bring in accident reconstruction experts, engineers or investigators who can help document the facts of your accident and prove who was at fault. Simply put, punitive damages are damages awarded to a plaintiff in excess of compensatory damages in order to punish the defendant for a reckless or willful act. Punitive damages do not always apply; they are typically sought when there is a willful disregard for the safety of others. Proving that a driver was at fault usually means establishing that he or she was negligent, which simply means we look at whether the other driver failed to follow his or her duty of care. “Duty of care” is a legal term that refers to the responsibility one person has to avoid causing harm to another. Every driver has a basic legal duty to operate a motor vehicle in a safe manner. For instance, if the other driver isn’t safely operating his or her vehicle or paying attention to traffic laws and causes an accident, he or she may be found negligent.